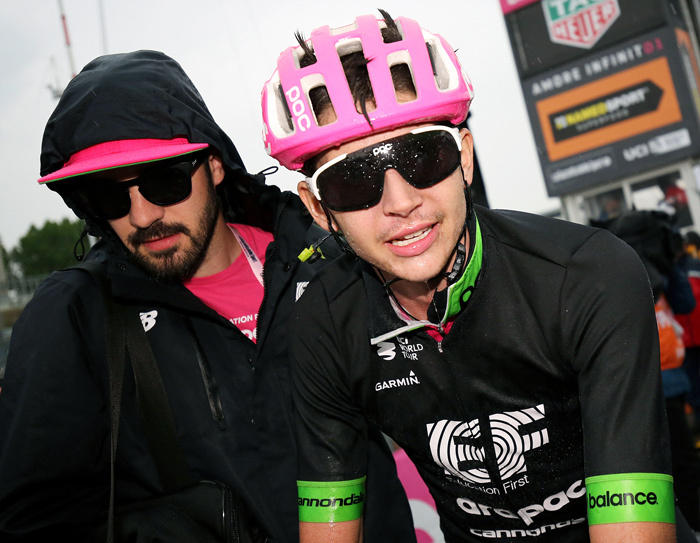 For the 2018 Giro, the EF Education First-Drapac p/b Cannondale team was built around GC hopeful Michael Woods. The team consisted of both climbers and all-arounders, with the goal of supporting Woods through an extremely challenging three weeks. 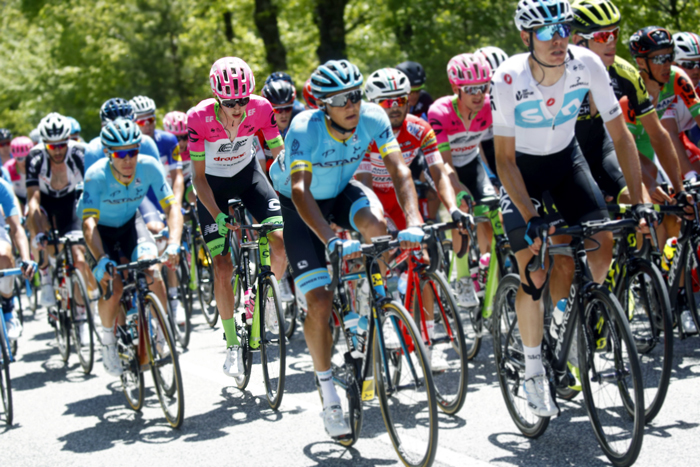 The 2018 Giro included some of the steepest gradients in Europe, such as the Monte Zoncolan and Colle delle Finestre. A stage race specialist, Woods’ teammate Joe Dombrowski’s main goal in the early season was to be at his best to support the team. We were able to take a look at his build up to the Giro as well as his numbers during the race. These files can not only help us understand the demands placed on Pro Tour riders, but are a testament to the meticulous preparation and enormous effort needed to tackle a 3-week Grand Tour. His first race was the Vuelta a Andalucia Ruta Ciclista Del Sol, from Feb 14-18. After that it was a one-month solid training block before taking on another Spanish race, the Volta Ciclista a Catalunya, March 19-25. These Spanish races had a big effect on Dombrowski’s CTL and race fitness; he finished Catalunya at a CTL of 150. In other words, each of these week-long races resulted in a 20-25 point CTL increase. Post-Catalunya there was a period of rest which saw Dombrowski’s TSB hit its highest point (+30) on April 3. 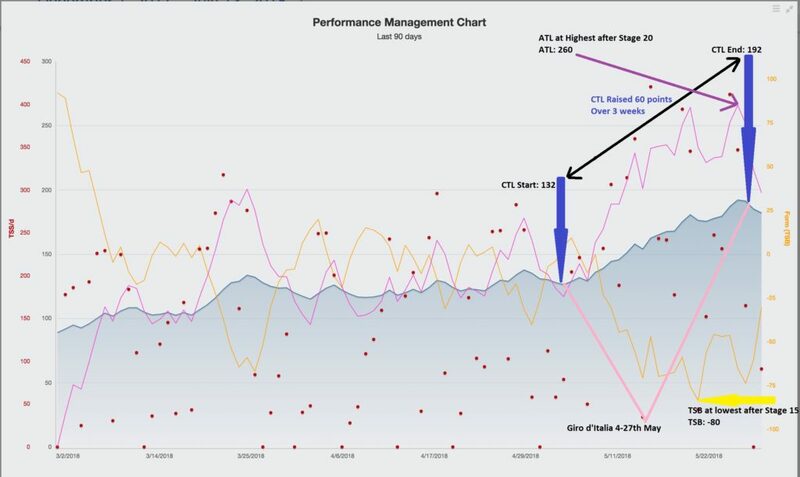 This rest period preceded his last build up in the final 4 weeks heading into the Giro, including the 6-day Tour de Romandie, which finished a week prior to the start of the Giro. The challenging six-day race saw his CTL reach 142, with an ATL of 175. The scene was now set for the Giro. 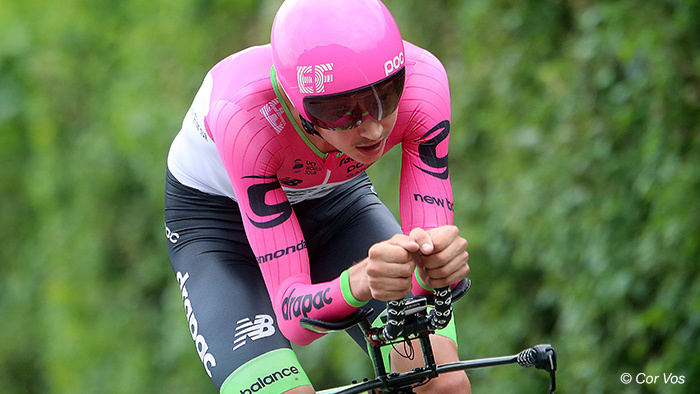 In the taper to the Giro, Dombrowski brought his TSB up to +12, which allowed him to hit the Stage 1 TT with legs full of power and ready to tackle the three weeks ahead. From there, at least from what we can see of Dombrowski’s PMC, it is no surprise that many respect the Giro for its demanding stages and aggressive racing. First, note the massive build of his CTL, with a staggering increase of 60 points over three weeks (from 132 to 192). This is a ramp rate which we see rarely in any other events or training blocks; only in a long Grand Tour like the Giro can riders meet such demands. The monstrous CTL ramp rates come down to Dombrowski’s weekly TSS®. 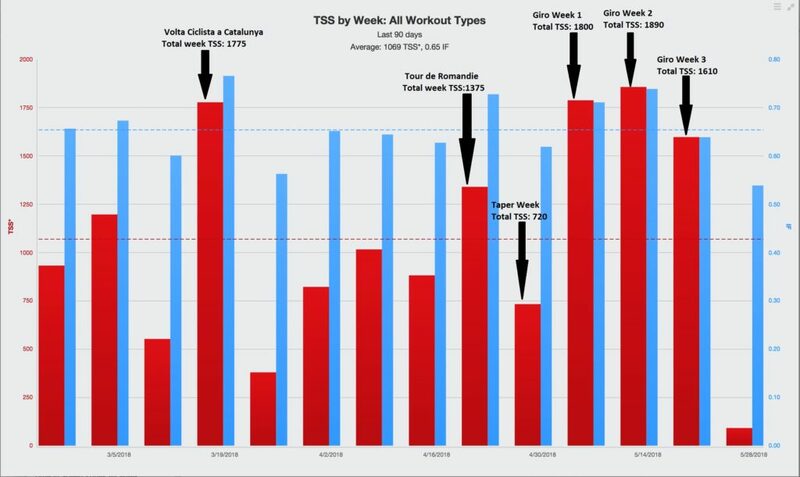 Logging approximately an 1800 TSS per week for 3 weeks is something most of us would fail to achieve even for 1 week—maintaining it for 3 weeks is a feat only sustained by the talented and elite of the sport. Dombrowski’s lowest TSB was -80. This came after stage 15 and before a timely rest day, which brought him back up to -40 for the final six days of racing. You’ll clearly see the demands of two mountain stages in the following race files, which Dombrowski has given us access to. These happened to be two of the toughest stages in the race, so they serve as a great snapshot of what these riders were going through. On day 6 of the Giro when he tackled Mount Etna, Dombrowski had a total TSS score of 298. During this stage, Dombrowski was pivotal in helping to protect Michael Woods early on, as well as on the lower slopes of the cimb. In the opening 4km of the climb, Dombrowski produced 380w, 5.25w/kg for a 10 minute effort as he kept in contact with the leading group. With the lead selection made, Dombrowski settled into a consistent rhythm of 332w, 5.11w.kg for the remaining 15km. His total effort on the climb was 341w, 5.25w/kg for the 55 minutes of climbing, which was enough to finish 43rd, +5:00 on eventual winner Esteban Chaves of Mitchelton-Scott. Stage 19 of the 2018 Giro will go down in living memory as one of the most exciting and surprising comebacks in Grand Tour history. Chris Froome set the race alight when he attacked 80km out on the gruesome Colle delle Finestre. The demands of this stage are visible in Dombrowski’s total TSS for the day; an eye-watering 411. To do put up this number, he had to have a Normalized Power® of 321w, 4.94w/kg for nearly six hours. Most of Dombrowski’s peak power numbers on the stage came on the first climb of the day; the Colle del Lys. Dombrowski did 366w, 5.63w/kg over the 40 minutes it took for him to complete the 20km climb. Within this period, he also did a 10-minute effort of 411w, 6.32w/kg on the lower slopes. 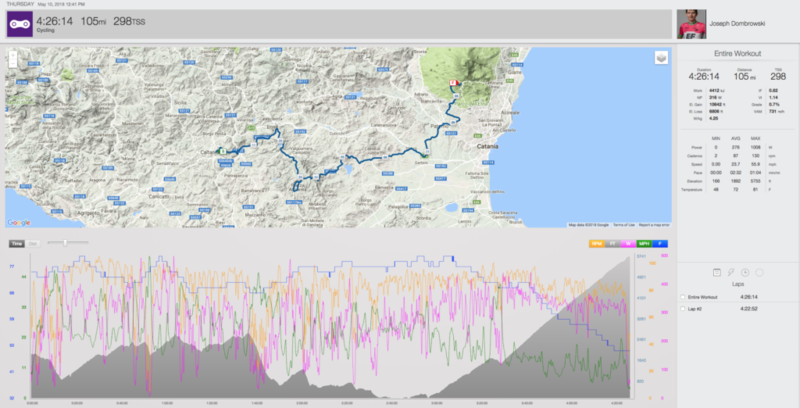 Keep in mind this was all in the opening 45km of the stage, before they even hit the biggest mountains of the day. The bottom of the Colle delle Finestre saw a ferocious pace set by Team Sky, the now-familiar harbinger of a big Froome attack. To stay in contact with the leading group, Dombrowski had to ride at 400w, 6.15w/kg in the opening 10 minutes of the climb. Once the elastic broke, Dombrowski rode the remaining 13 ½ km at 321w, 4.94 w/kg for the 1:02hr (which is how long it took him to cover this section of the climb). Dombrowski finished with a fantastic 32nd place, +32:52 on eventual winner Chris Froome. Dombrowski’s peak 20-minute power during the Giro was 400w, 6.15w/kg along with a peak 5-minute power of 447w, 6.88w/kg. Interestingly, both these peak powers were set on the same day; stage 10 from Penne – Gualdo Tadino. 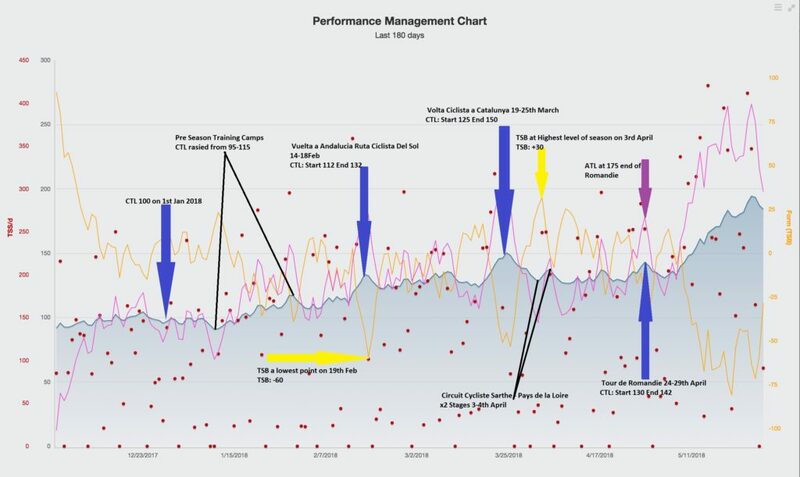 One trait Grand Tour riders share is this ability to be consistent in their power outputs over time. Even if we look at stage 19, we still see Dombrowski producing an effort over 6w/kg for 10 minutes. He’s also riding longer sustained efforts of 30-40 minutes at 5.5-5.8w/kg. This consistency is what sets these riders apart from the mere mortals who watch on TV, or from the roadside. Thanks to Dombrowski and his team Education First-Drapac p/b Cannondale for allowing us access to his data. This is a unique snapshot into the world of Professional riders, and as you can see, it takes a truly massive effort to prepare for and complete in a three-week Grand Tour.